Sitting surrounded by tall stalks of grass, the sun beating down on my head. I remember that moment when I was child. I have no idea where I was sitting but I remember wondering what it would be like to be an insect and for this patch of grass to be my universe. Inhabiting a small place in a big overwhelming world felt comforting in its simplicity. I sat there, living in that moment, looking around at the grass and trees and feeling the warmth of the sun on my back. One day last year I remembered that moment. When did I last look around and experience a moment, I wondered? I started asking myself that a lot. The answer I found is almost cliché. How many times have we read about people realising they’d been too busy to smell the roses? I am certainly not claiming originality, but I found that it wasn’t often, and certainly not enough for me. I had read the Mindfulness Manifesto a few years before, and felt momentarily inspired to create time to live more in the present. But then got caught up in the business of life. But somehow last year, after many discussions with my husband and with my kids about what our life in London was like, we made some big changes. I left my nearly full-time job to freelance, we sold our house and moved to Brighton. Months on and I found myself in a rickety Victorian house in Brighton shivering under a flimsy blanket trying to focus my attention on my left toe on the first day of my Mindfulness Based Cognitive Therapy course. I also spent many more minutes than I ever thought possible smelling and tasting a raisin. Result: mild annoyance. My brain: Ho hum. 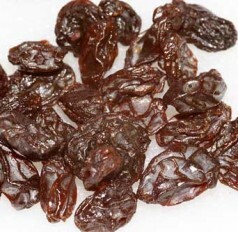 Wow, big surprise (not): raisins are very, very wrinkly. Ho hum. Ok, let’s try smelling it because the nice instructor is asking us to. Oooooh, that’s kind of cool: raisins smell like cinnamon! The course was developed by Professor Zindel Segal a psychologist from the University of Toronto, Mark Williams based at the Oxford Mindfulness Centre and John Teasdale, a scientist at Cambridge University researching cognitive approaches to treating depression. The course is based on Jon Kabat-Zinn’s Mindfulness-based Stress Reduction programme at the University of Massachusetts Medical School. As this list of serious academic institutions implies, the approach has been studied and researched extensively, and is now endorsed by the National Institute for Health and Clinical Excellence to treat depression, when combined with Cognitive Behavioral Therapy. I took part in an intensive 10-day meditation course years ago in Nepal. I wrote about my experience in the Independent on Sunday travel section, mostly in a humerous way. A lot of people meditating in a room after eating a breakfast of rice and Daal emit a lot of bodily gases, loudly. In truth, it was a hard 10 days. I was highly critical of myself. Why couldn’t I just clear my mind? Why did I find meditation so hard? Especially when I heard that other participants claimed to have entered some other time and space continuum. I’m trying to approach this mindfulness course in a very different way, and the course leader is helping me do that. We are told again and again to be kind to ourselves. If our attention wanders, not to worry. Congratulate yourself on realising your thoughts are drifting and come back to the present moment. “Self care” is how Zindel refers to the MBCT process in this video. And that’s how I think of it. Instead of clearing our minds of thoughts the mindfulness course instead aims to make us aware of our thoughts and objectify them. Our thoughts are just that: thoughts or stories, and nothing more. I have no idea whether or how this course will change me. At least I know that I have created the space and time for me to give it a go. P.S. I could say that all those changes meant that I didn’t have time to write this blog. And that would be partially true. I can say that it will be different from before. Think about it as the mind and books meeting by the sea. Mindfulness: A practical guide to finding peace in a frantic world by Prof. Mark Williams and Dr. Danny Penman. The Mindful Manifesto by Dr Jonty Heaversedge and Ed Halliwell. This entry was posted in mind and tagged mindfulness, Mindfulness based Cognitive Therapy, wellbeing by Suzanne. Bookmark the permalink.